Size: 42.32 x 13.78 x 5.51"
42.32 x 13.78 x 5.51" 45.28 x 16.34 x 8.66"
57.48 x 20.94 x 9.29"
57.87 x 16.93 x 8.27"
59.84 x 14.64 x 9.25"
62.60 x 23.23 x 11.42"
The Keyboard 04 Gig Bag with Backpack Straps from Fusion-Bags is designed to store and transport keyboards and synthesizers with 49 to 61 keys. 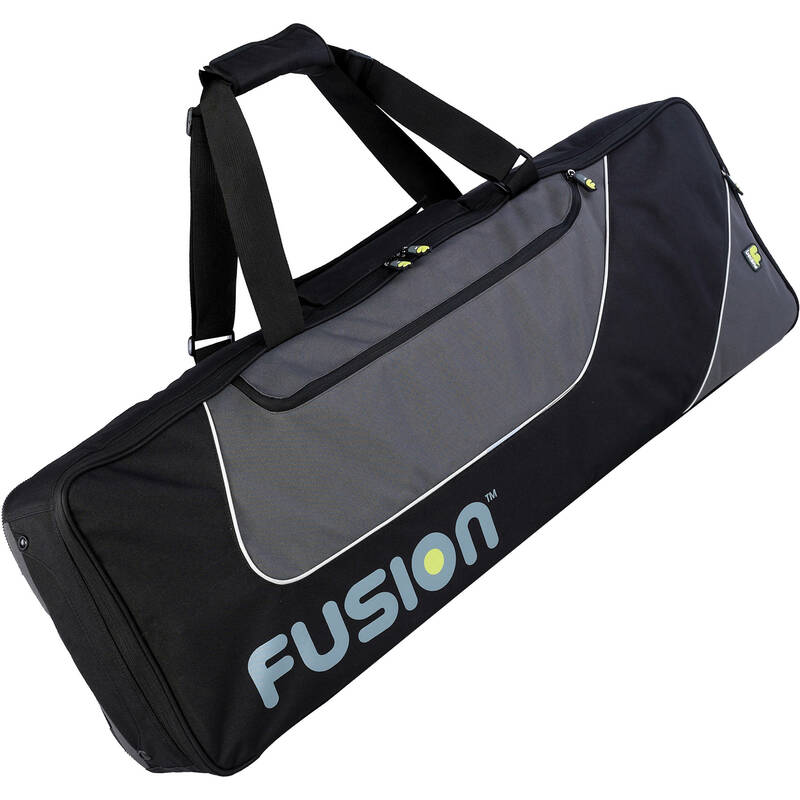 This gig bag features ergonomic backpack straps in addition to adjustable shoulder straps with a shoulder pad. The bag's interior is lined with 0.59" high-density foam padding throughout. Accessory pockets on the front of the bag allow you to store cables, music, flat pedals, and other accessories. Inside the bag, there is a sleeve that can be tightened to secure the keyboard or synthesizer in place and four soft velvet-mix padded blocks, measuring 2 x 2" each, which can be positioned inside the bag to ensure a snug fit. This gig bag is also water-resistant.